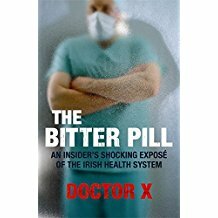 An Excerpt from the “Bitter Pill” or what is wrong with Ireland(RoI) Healthcare system. No discussion of the Irish health system can take place without an examination of its foundations. It is built on the two -tier system of public and private healthcare. At the heart of this system is a blatant lie about choice, one that is propagated by the government and vested interests in a system that rewards private practice and penalises public patients . The two-tier system is the single greatest obstacle to improving the level of healthcare provided in the country. This is because it leaches off resources paid for by the taxpayer and gives little in return to the public, while providing incentives to neglect their public duties. As such it is a system that services no one other than those who profit from it, and it works fundamentally against the improvement of public health services. Yet as long as this system prevails, those who can afford to rightly feel they have little choice but to purchase private health insurance. The two-tier system, in turn must be understood in terms of the role of consultants and, more specifically the power they wield within the health service. Consultants are paid by the State to work a normal working day in their public capacity, but they retain complete discretion over when they choose to be in the hospital and when they chose to leave. Consultants who complain about having to work long hours often neglect to mention that many of those hours are spent looking after private patients to supplement their income. Considering that the Irish taxpayer is paying salaries of upward €140 K * to these men and women, there is a major question to be asked about accountability. Previous Previous post: That Christmas feeling or the lack of it.